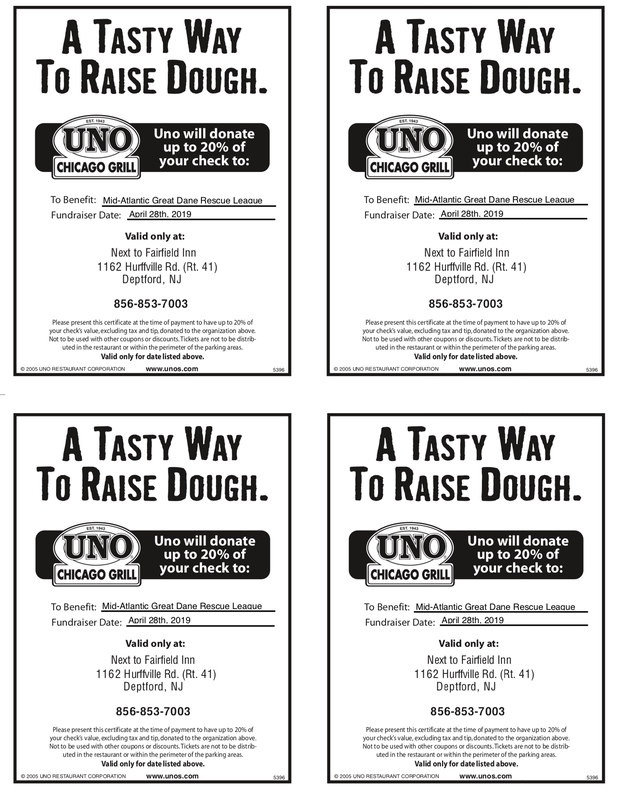 Join at Pizza Uno Chicago Grill for A tasty way to raise dough. 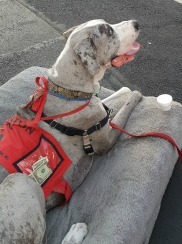 20% of your check will be donated to Mid Atlantic Great Dane Rescue League. A flyer will be posted to present for the donation. Stay tuned! Click the image above to go to the main web page that showcases different dogs that are currently with MAGDRL and are receiving treatment and training to help them overcome the abuse and neglect they have suffered before finding their way to us. Each of these dogs deserves a chance and our dedicated volunteers are working to save their lives. MAGDRL is involved in quite a few activities and events to find homes for our Danes and to do fund-raising to support our work. Fund-raising is a necessity because each dog we receive is taken to a veterinarian for health checks as necessary and spayed/neutered before adoption. Because we are a volunteer organization, 100% of every single dollar raised goes toward the care of our dogs. One common event is called a "Meet and Greet". At this type of event, MAGDRL will set up a table at a business location (typically a pet supply store) and will introduce our group to the public. 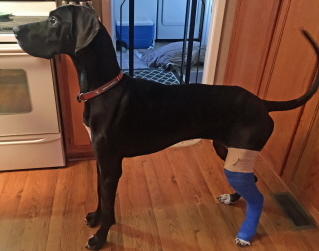 We supply written information on all aspects of Great Danes and educate interested individuals or families on the prospect of adopting or fostering a Dane.